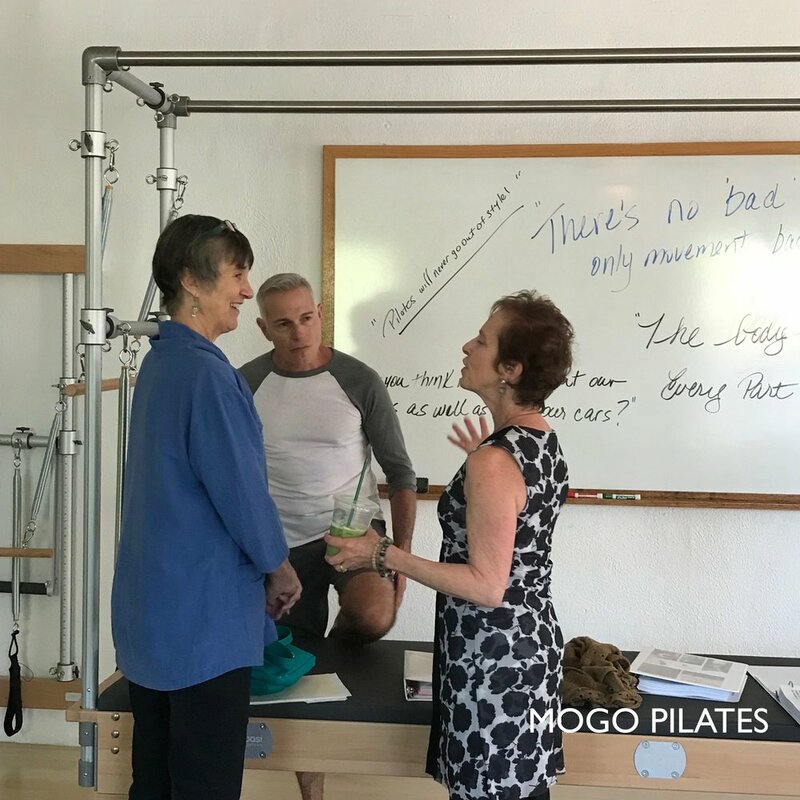 Kevin Bowen of Core Dynamics Pilates brought together Suzanne Gutterson, Michelle Larsson and Debora Kolwey to share their Eve Gentry approach to Pilates and to dive deeper into all things Eve. It was truly an honor to have the opportunity to be in the same room with these three great women! Not only did we have three days with this amazing group of Pilates teachers but the class was limited to five students. The Eve Gentry Lineage Training is one of my Pilates highlights which I will never forget. Michelle Larsson, Kevin Bowen and Debora Kolwey having a conversation during a break. 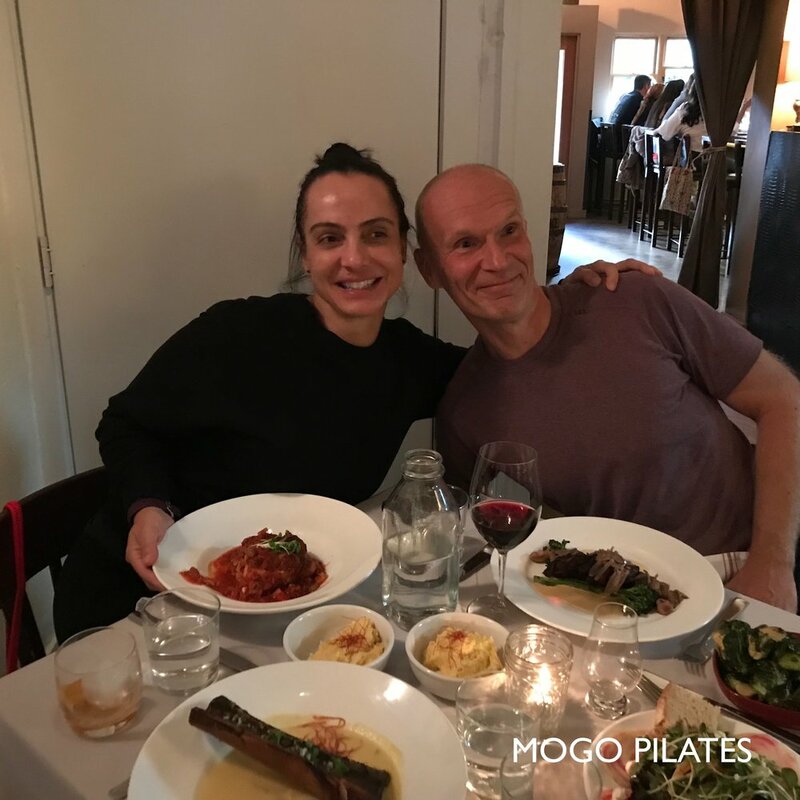 I have been studying the Eve Gentry approach to Pilates with my mentor, Debora Kolwey, for the last five years. 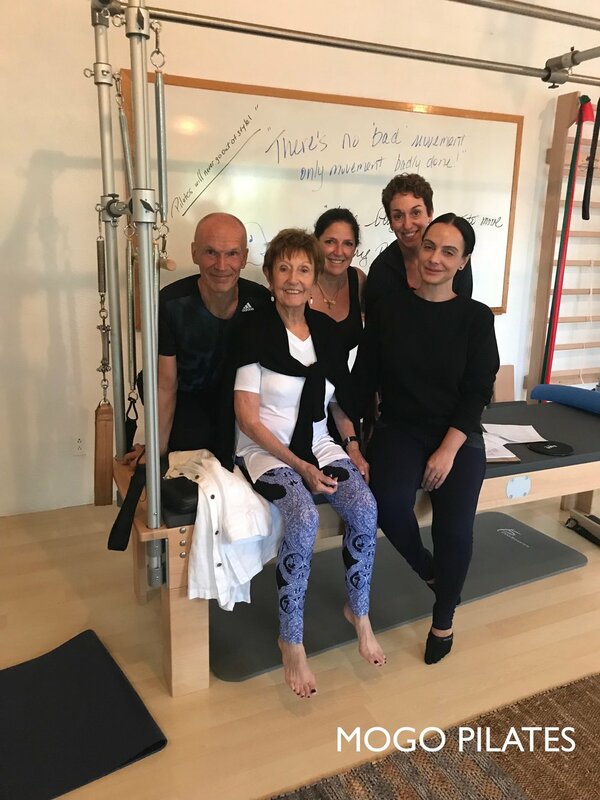 It was a great opportunity to further study the Gentry Approach by learning from Suzanne and Michelle as well and to practice what I have been studying with a group of truly amazing Pilates’ movers. It is always so fascinating to watch highly trained teachers so effortlessly take people through movement and is especially exciting to watch people’s bodies change and their faces light up when something clicks. Suzanne Gutterson with Lineage Training Participants. 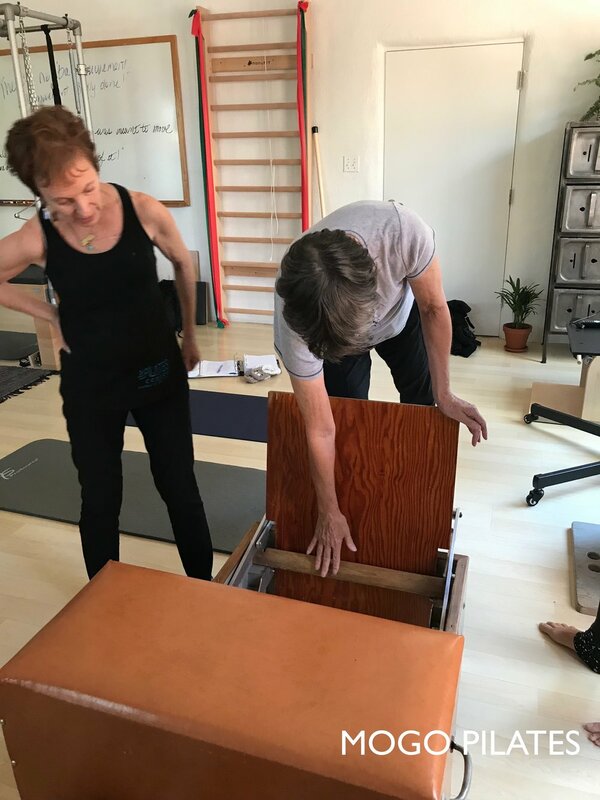 To learn more about this incredible and comprehensive Pilates training program, visit Core Dynamics. I would also love to share my experience with anyone who is interested in learning more! Photos from The Eve Gentry Lineage Training Program 2018 in Santa Fe, New Mexico. 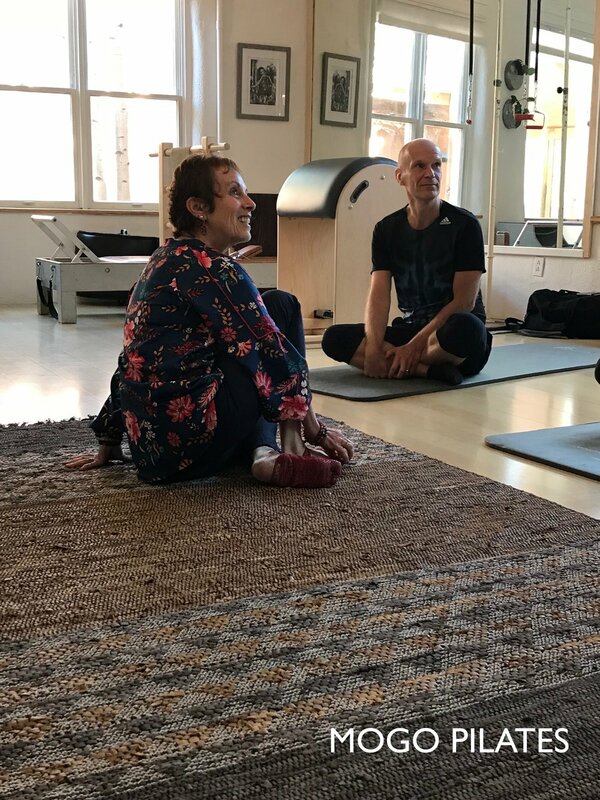 The entire weekend was at the Core Dynamics Studio in Santa Fe. Thank you to Kevin Bowen for a truly fabulous weekend!